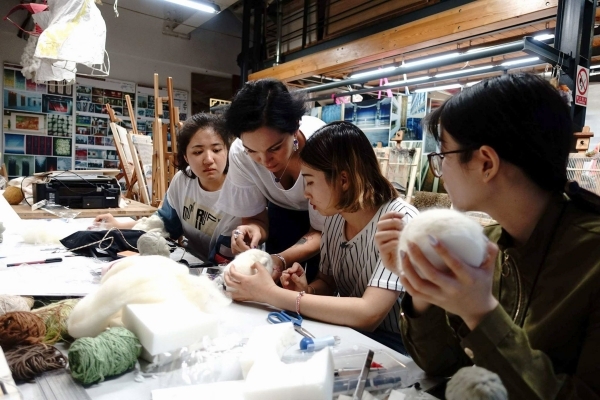 Jovita Sakalauskaite, Lecturer at Department of Fashion and Textile Design, Faculty of Fine Arts and Design, Izmir University of Economics (IUE), is teaching the Chinese students at the Academy of Arts & Design, Tsinghua University located at Beijing, the reflection of fiber art on fashion design and traditional Turkish art via three-dimensional felt design. 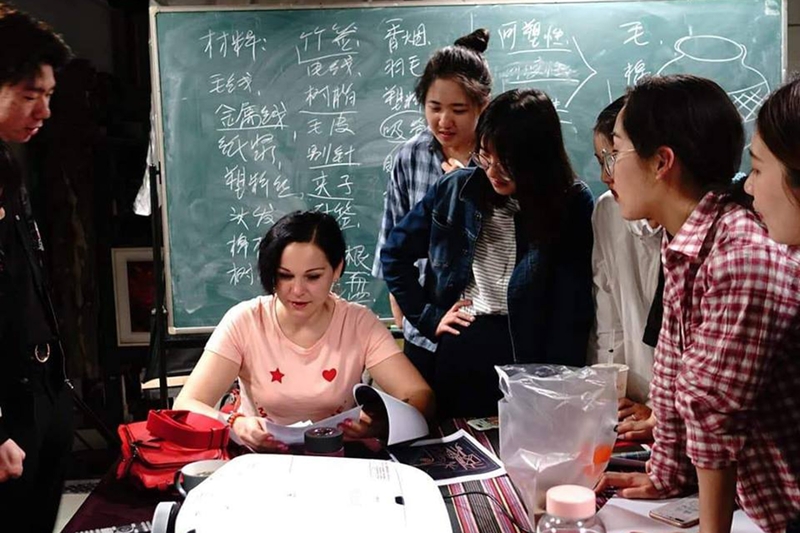 Sakalauskaite, who is a guest lecturer in China, said, “I believe the traditional felt art needs to be reflected in present time. I turned felt into three-dimensional shape. I work on human faces mainly. My interpretation of felt is not traditional. I wanted to re-interpret felt, a traditional Turkish textile, and promote it worldwide. I was asked to teach the reflections of textile design and fiber art on fashion. We are creating three-dimensional felt designs with Chinese students”. Sakalauskaite reported that after her lectures, she would open an exhibition in China, and she said that a collaboration agreement between Izmir University of Economics and the Academy of Arts & Design, Tsinghua University would be signed. Sakalauskaite indicated that China has declared 2018 as its “Turkey Tourism Year.” She said, “Chinese are very much interested in Turkey. They are interested in its history, art, and higher education. Therefore, I tell them about both Izmir and Turkey. They want to open joint exhibitions both in Turkey and China”.